Tell me about your life before you entered St. Benedict’s Abbey. Before I entered the abbey, I studied theology and philosophy at Benedictine College. I was involved with the Legion of Mary and the altar servers, and just kind of hung around with the monks a little more often than most. 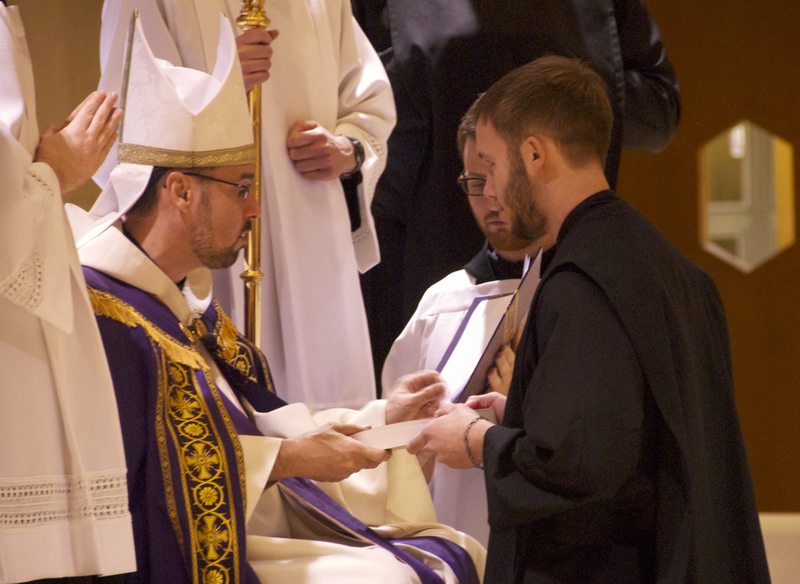 When I chose to come to Benedictine College, becoming a monk was not on the horizon. I was trying to get into the seminary at Conception and my mom said, “Hey, we’re this far east, let’s just visit Benedictine while we’re out here.” So I took the tour and by the end of it I knew I was supposed to be here. But, I didn’t know exactly why I was supposed to be here yet. When did monastic life enter your horizon? I began thinking more and more about the abbey the summer after my sophomore year when I was teaching Totus Tuus. I remember being struck by the life of prayer that Totus Tuus provided for its teachers, and I began to really think about monastic life. I made a retreat but afterward I didn’t really feel called that strongly toward it, so I started dating a girl. When my senior year rolled around I took Fr. 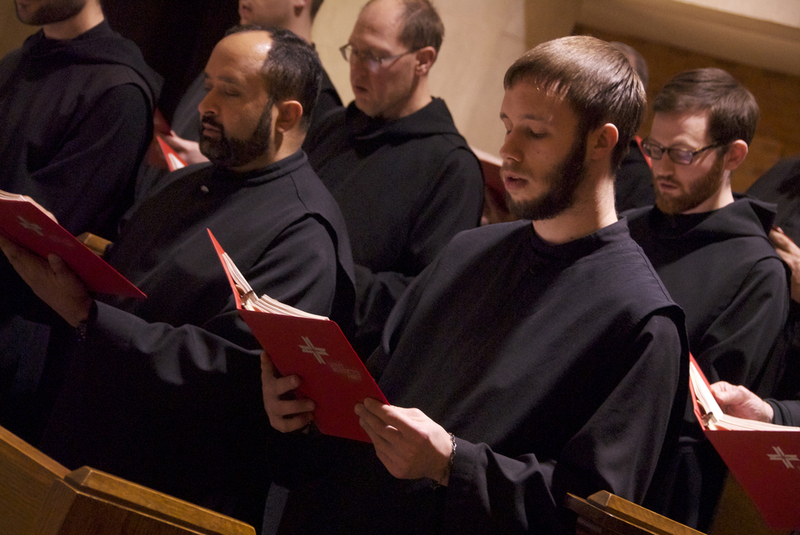 Meinrad’s Benedictine Spirituality class. It woke me up to the fact that I hadn’t truly discerned away from monastic life, I had just kind of pushed it into the corner. I began to consider it, and the more I considered it, the stronger the call became. I realized that I was no longer discerning marriage as an end, but I was discerning monastic life. I began moving towards the monastery and doing retreats, and I soon asked for an application. What is the biggest thing you’ve learned throughout this first year of monastic life? I’ve learned that I’m not nearly as perfect as I thought I was. There are times when I startle myself. But also, how great God’s mercy is despite all that. It’s helped me to see that he’s willing to keep putting all that aside out of love. That’s been something that’s been very profound for me this last year. It brings me a lot of joy, waking up every morning, and being surprised at where I am, but happy. If you would have told me two years ago that I would be a monk, I probably would have believed it, but I would have probably freaked out as well. I have the sense that everyday is a new opportunity to seek God and you never quite know exactly how God is going to work in your day. What are you most looking forward to about after first profession? I’m really excited about just giving over everything. It’s so easy to hold things back when you don’t have your mind made up or when you don’t know what your future holds. And I don’t really know what my future holds, but it’s just that surrender – letting everything go, so that God can do it. This year has taught me to trust that He’s got better plans than I do, and He’s been working under the surface in so many ways. Just surrendering myself to that, I especially look forward to.